Obituary - K. Patricia (nee Fuller) Scheerer, 79, most recently of Moseley, VA, died August 6, 2018 at home. 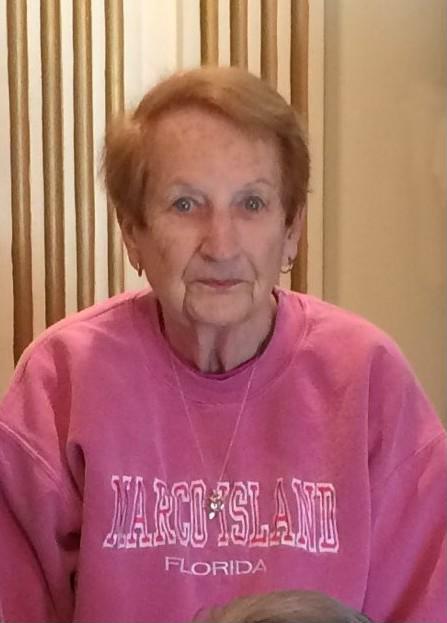 Born and raised in Lansdowne, she was a graduate of Lansdowne Aldan High School, class of 1957. Pat had been employed as Office Manager for Arcus Design in Malvern, an Architectural firm, for over 25 years before retiring in 2011. After marrying Evan Scheerer, they raised their family in West Chester and later moved to Coatesville. Following his death in 2004, she made her home with her daughter Stacy and family. In 2011 they relocated to Moseley Virginia. While living in PA, the family attended Christ Lutheran Church in Upper Darby and later the Reformation Lutheran Church in Media. Patricia was an avid reader, TV and movie buff. Never forgetting her connections to childhood friends, she remained active in the Alumna Association of Lansdowne- Aldan, helping to organize reunions and maintaining connections. As a member of various bridge clubs, she was proud at achieving the status of Lifemaster in 2014. As a big sports fan, she witnessed her beloved E A G L E S win the Super Bowl. Pat’s proudest role and the one for which she will best be remembered was as loving wife, mom and grand mom; taking joy and pride in watching her grandchildren's events and activities. She was the beloved wife of the late Evan B. Scheerer; Survivors: include her daughter, Stacy L (Andy). McKeague, Son, Andrew (Lynda) Scheerer; sister Emma Gilbert and 4 grandchildren Kathryn and Jack Scheerer an Matthew and Mason McKeague. Service: Memorial Service 11am Thursday in the Church of Christ the King Lutheran Church in Richmond Virginia. Service: Funeral Service will be 11am Monday, at the Toppitzer Funeral Home at Arlington, Drexel Hill, where friends may call after 10:00 am. Pat was s classmate of mine and we both served on the Reunion Committee, for the class of '57, Lansdowne-Aldan High School. Pat took care of the class list, changes of information and seeing that everyone was notified. She would drive up from Virginia for reunion committee meeting's and lunches.